Restricted growth or dwarfism is commonly described as having a final adult height of 4’10” or less due to a medical condition. 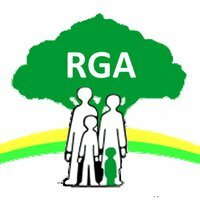 Most members of the RGA have restricted growth due to a genetic condition. There are estimated to be several hundred conditions that can cause restricted growth – these can cause proportionate or disproportionate (such as Achondroplasia) restricted growth. Proportionate short stature (PSS) means there is general lack of growth throughout the body. The length of the trunk (abdomen and chest) remains in normal proportion with the legs. Disproportionate short stature (DSS) occurs when there is a problem with the way joints and bones grow. Certain limbs may be shorter, or there might be a severe lack of general, all-over body growth. Conditions associated with DSS are usually caused by a genetic condition. Many children born with DSS will have average-height parents and the genetic condition will have occurred spontaneously.One such condition is Achondroplasia. Most people with restricted growth conditions have normal intelligence and normal life expectancy. Achondroplasia is the most common form of restricted growth within the RGA. People with the condition have an average sized trunk and short arms and legs. It’s literal meaning of “no cartilage” is misleading, it is a condition affecting a single gene called FGFR3 which results in abnormal cartilage formation. The protein made by the FGFR3 gene is a receptor that regulates bone growth by limiting the formation of bone from cartilage (a process called ossification), particularly in the long bones. With achondroplasia, the FGFR3 gene causes the receptor to be overly active, which interferes with ossification and leads to the disturbances in bone growth seen with this disorder. It is estimated to occur in approximately 1 in every 26,000 births. Further details can be found on our Achondroplasia information page. Hypochondroplasia appears as a milder version of achondroplasia, though it is a different condition entirely. It is usually caused by a change in the FGFR3 gene, different to the change seen in achondroplasia. The overactive FGFR3 protein likely interferes with skeletal development and leads to the disturbances in bone growth that are characteristic of this condition. It is estimated to occur between 1 in every 10,000 – 40,000 births. Further details can be found on our Hypochondroplasia information page. Diastrophic Dysplasia is one of several skeletal disorders caused by mutations in the SLC26A2 gene. This gene provides instructions for making a protein that is essential for the normal development of cartilage and for its conversion to bone. Changes in the SLC26A2 gene alter the structure of developing cartilage, preventing bones from forming properly and resulting in the skeletal problems characteristic of diastrophic dysplasia. It is estimated to occur in approximately 1 in every 100,000 births. 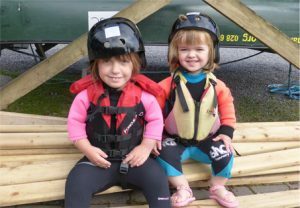 Further details can be found on our Diastrophic Dysplasia information page. Pseudoachondroplasia is caused by a change to the COMP gene (cartilage oligomeric matrix protein). This gene provides instructions for making a protein that is essential for the normal development of cartilage and for its conversion to bone. The COMP protein is normally found in the spaces between cartilage-forming cells (chondrocytes), where it interacts with other proteins. The COMP gene change results in the production of an abnormal COMP protein that cannot be transported out of the cell. The abnormal protein builds up inside the chondrocyte and ultimately leads to early cell death. Early death of the chondrocytes prevents normal bone growth and causes the short stature seen in pseudoachondroplasia. It is estimated to occur in approximately 1 in every 30,000 births. Further details can be found on our Pseudoachondroplasia information page. Spondylo-epiphyseal Dysplasia Congenita (SEDC or SED) describes several bone disorders characterised by progressive abnormalities of the “spondylo” or spine and the “epiphyses” (growing ends of the long or short tubular-shaped bones). This occurs in approximately 1 in every 100,000 births and is one of the commoner forms of dwarfism. 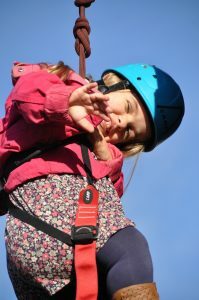 Further details can be found on our Spondylo-epiphyseal Dysplasia information page. Ellis – van Creveld Syndrome – people with this condition have particularly short forearms and lower legs and a narrow chest with short ribs. Changes in the EVC and EVC2 genes cause Ellis-van Creveld syndrome. Researchers have not determined the functions of these genes, but they have identified mutations in both genes that can cause Ellis-van Creveld syndrome. This occurs in approximately 1 in every 60,000 – 200,000 births, though is much more common in certain populations. Metatropic Dysplasia / Kniest Dysplasia – people with Kniest dysplasia are born with a short trunk and shortened arms and legs. Kniest dysplasia is one of a spectrum of skeletal disorders caused by mutations in the COL2A1 gene. This gene provides instructions for making a protein that forms type II collagen. Type II collagen is essential for the normal development of bones and other connective tissues that form the body’s supportive framework. Most changes in the COL2A1 gene that cause Kniest dysplasia interfere with the assembly of type II collagen molecules. Abnormal collagen prevents bones and other connective tissues from developing properly, which leads to the signs and symptoms of Kniest dysplasia. This a rare condition and the exact incidence is unknown. Morquio Syndrome is a metabolism disorder where the body can’t break down long chains of sugar molecules called glycosaminoglycans. These build up in the body and brain and damage organs. This is estimated to occur in approximately 1 in every 200,000 births. 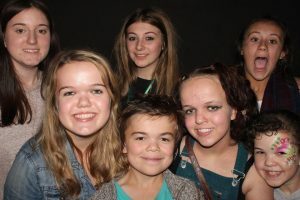 Primordial Dwarfism – this term covers a number of different conditions (MOPD type I, II & III; Seckel Syndrome, Russell-Silver Syndrome, Meyer-Gorlin Syndrome). Growth is proportionate, but severely delayed. Primordial dwarfism is very rare and there are currently estimated to be a few hundred individuals with this condition worldwide. In Utero Growth Disorders (IUGDs), including Russell Silver Syndrome – this covers a range of conditions where babies are born much smaller than other newborns. There are many reasons why this may occur, but there is often not an identifiable cause. Because of the number of restricted growth conditions, it is sometimes difficult for a medical professional to give a definitive diagnosis. In these circumstances, a general diagnosis of restricted growth may be given.